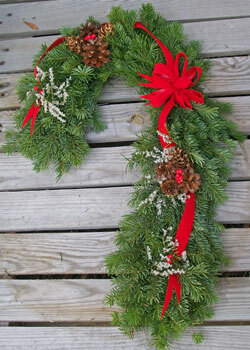 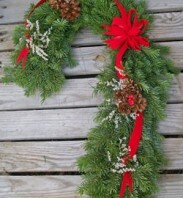 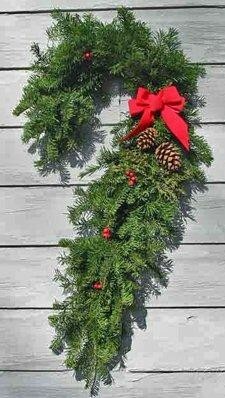 The swag offers an alternative to the classic Bitterroot Evergreen Wreath. 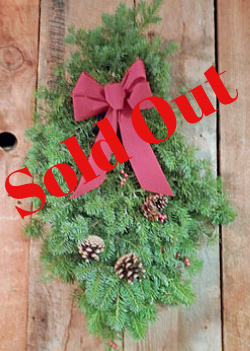 The swag is handcrafted with all three varieties of tree boughs used in wreath construction, but also includes a beautiful pine cone cluster as a focal point. 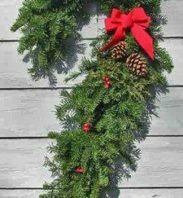 Attractively accented with juniper berries, red holiday berries, cones, and a beautiful red velvet bow, this gift looks wonderful hanging from any door during the holidays. 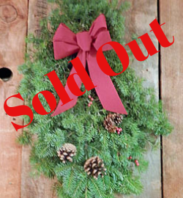 Each swag is sealed in plastic to preserve that uniquely special Montana fragrance and includes a greeting card personalized for the recipient.